The Dubai Duty Free Irish Open has a history of providing enthralling finales and last year was no exception as the Scot sent the packed Irish crowds into raptures with two incredible monster putts on the 18th green, the second one earning a play-off victory over New Zealand’s Ryan Fox. “I can’t wait to return to Ireland to defend my title,” said the USA-based player, originally from Inverness in the Scottish Highlands. “That win was a moment I’ll remember for the rest of my life, just one of those great days in my career which I’ll always look back on. “It will be nice to go back and enjoy my title defence and hopefully challenge for the title again. 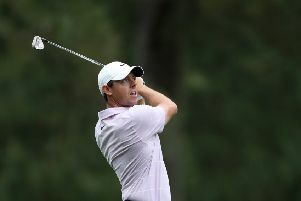 “The Irish fans were so supportive of me and I’m glad I could give something back with the drama at the 18th hole.